Barbecue or barbeque (informally BBQ or barby/barbies) is both a cooking method and an apparatus. Barbecuing is done slowly over low, indirect heat and the food is flavored by the smoking process, while grilling, a related process, is generally done quickly over moderate-to-high direct heat that hardly produces smoke. 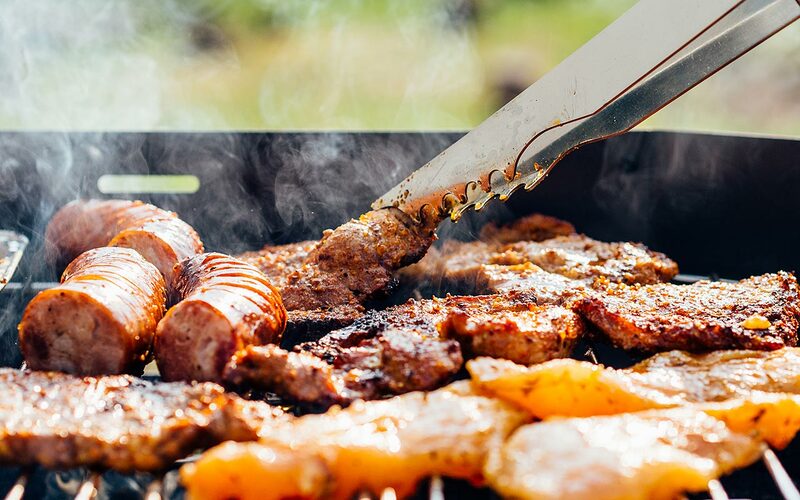 The word “barbecue” when used as a noun can refer to: the cooking method itself, the meat cooked this way, the cooking apparatus used (the “barbecue grill” or simply “barbecue”), or to a type of social event featuring this type of cooking. The term is also used as a verb, i.e. “barbecuing” is usually done outdoors by smoking the meat over wood or charcoal. Restaurant barbecue may be cooked in large, specially-designed brick or metal ovens. Barbeque is practiced in many areas of the world and there are numerous regional variations. This article uses material from the Wikipedia article Barbecue, which is released under the Creative Commons Attribution-Share-Alike License 3.0.